Mari Gill wakes to horror in a strange apartment next to a murdered man, and can't remember the night before. Accused of murder, she feels torn between her husband, a successful defense attorney, and a mysterious, kind man who wants to help. Can she trust either of them - or even her friends? Detective Kerri Blasco battles her police bosses believing Mari is innocent...but is she? Talk about chilling. Imagine waking up next do a dead man covered in his blood and then have trouble finding your inhaler. Once you are able to breath again, you realize that you can't remember anything about the night before. It's enough to send shivers down my spine. 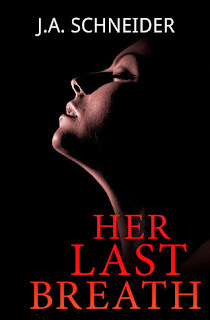 HER LAST BREATH has everything that you would want to find in a psychological thriller. A circumstance that is all too real, tight pacing, and characters that the reader can care about. It's another one of those books that you won't want to set aside for any reason. It is the second book of the series but it is so complete in itself that you won't feel that you are missing anything if you haven't read the first one. 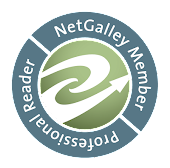 I highly recommend this book to my readers who enjoy horror, thrillers and police procedurals. I am off to pick up the first book in this series.